Hospitals can be a scary place - especially to children, the elderly and those without family. 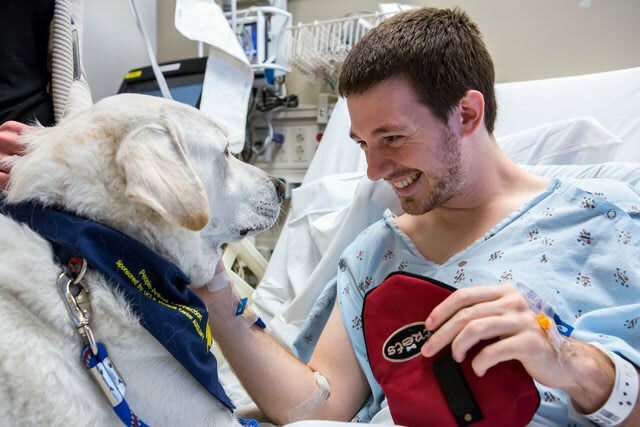 Luckily the UCLA People-Animal Connection dogs are experts in providing comfort and care, improving the hospital experience for those who need it the most. 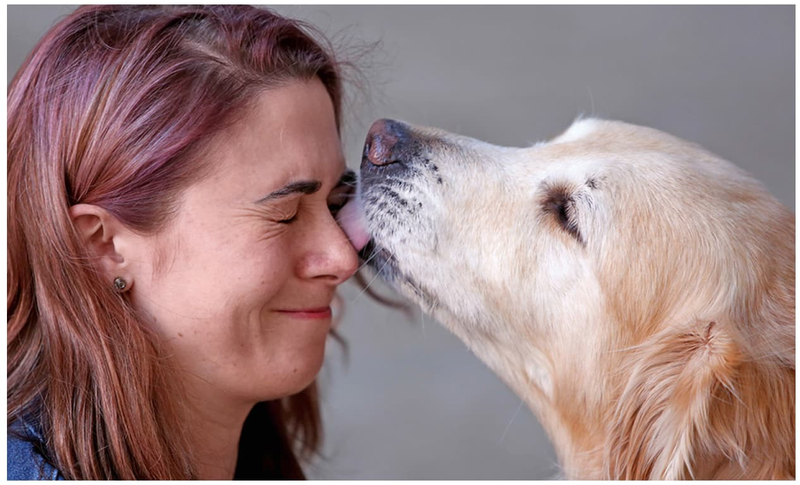 For over 20 years, the UCLA People-Animal Connection has been at the forefront of Animal-Assisted Therapy and Activity (AAT/A) programs in the United States. 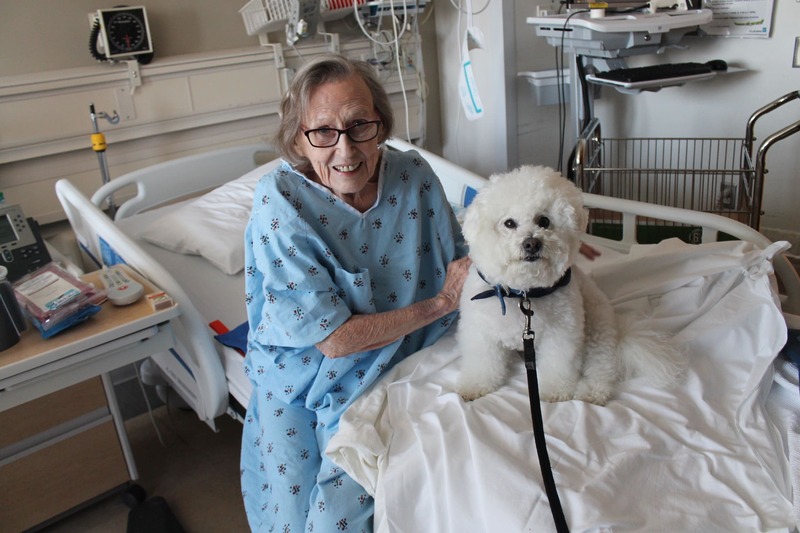 PAC volunteer teams consisting of canine and human partners bring comfort, companionship, and warmth to over 1,000 patients every month at the Ronald Reagan UCLA Medical Center and UCLA Medical Center, Santa Monica. 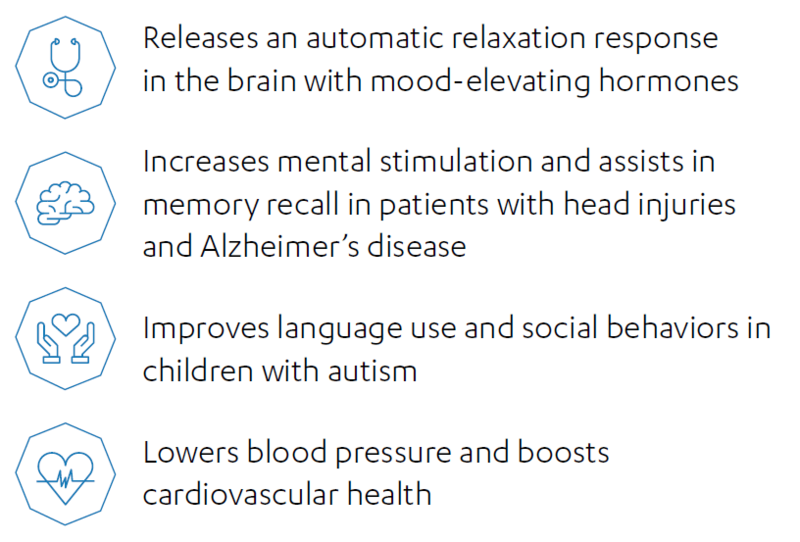 Our mission is to provide comfort and tangible health benefits to critically ill patients, including those who may not get visitors otherwise. 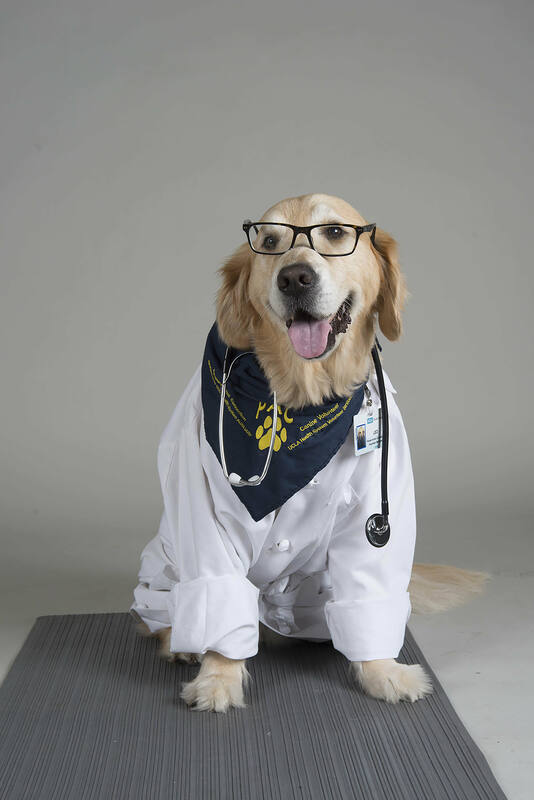 "One morning, the patients in my ward were told that a therapy dog from the PAC program would be coming to visit us. The news filled the day room with an electric hum of excitement and a question: What does a therapy dog actually do? A woman walked in with an older golden retriever at her side. We started to pet him. His fur was so soft. We rested our hands on his head and back. 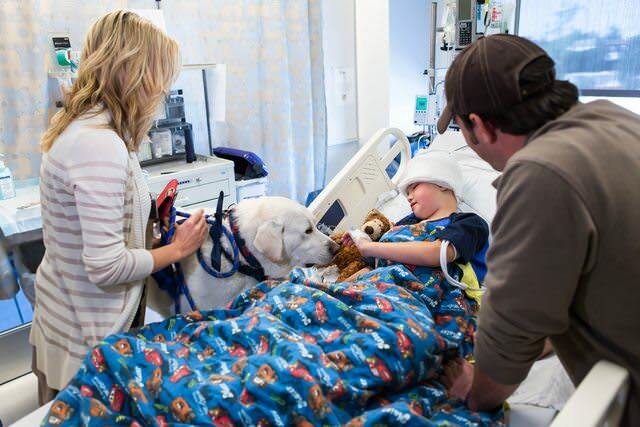 Suddenly, we were not patients uprooted by our illnesses; we were just a bunch of people petting a dog." 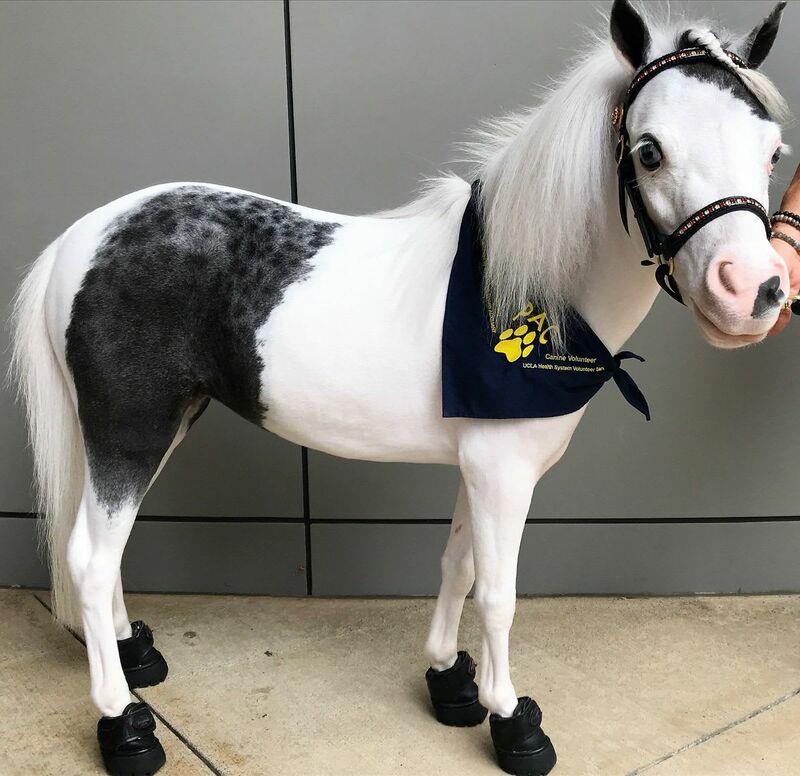 Blue Moon, the mini horse, is PAC's first non-canine to join the team! Patients have a blast horsing around with Blue Moon, who is tested and trained for therapy work in hospitals. We are an entirely donation-based volunteer group, meaning all materials and program expenses are funded by donations. 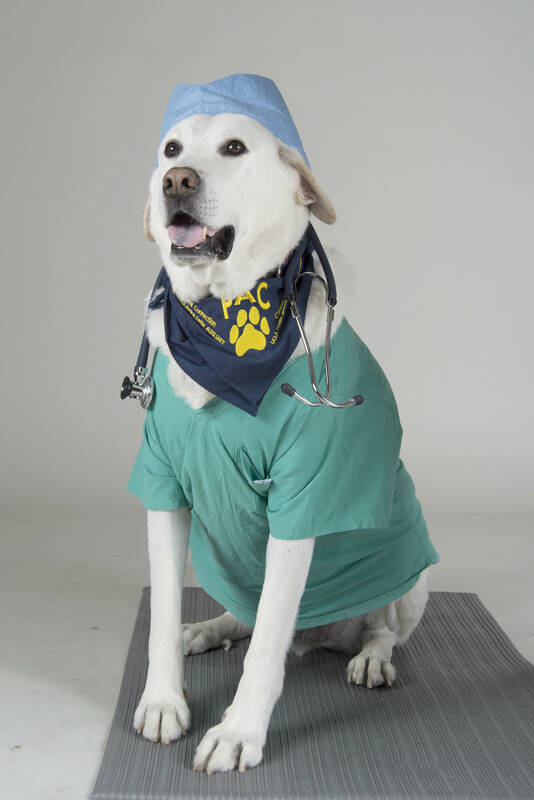 Our dogs and their humans count on you to help fund our endeavors and bring happiness and relief to countless patients. Your support is critical to helping our devoted dogs continue their work. 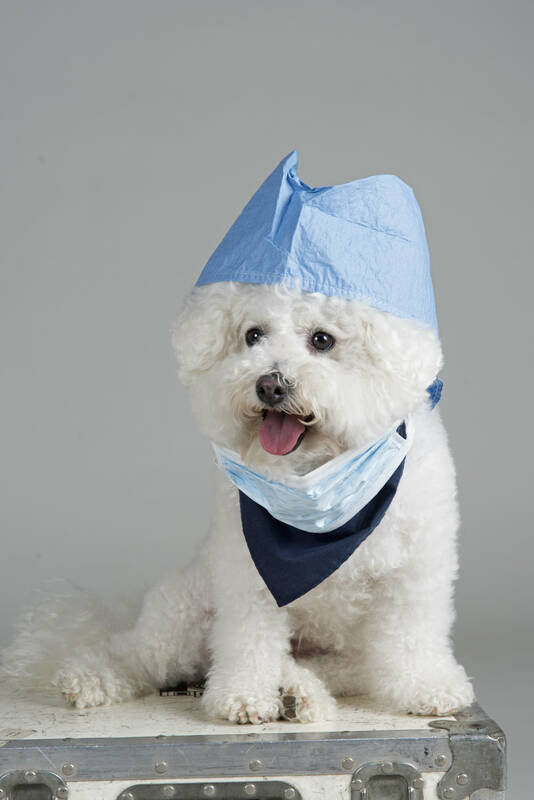 Our therapy dogs have been vital source of comfort for many in-hospital patients. But these hardworking animals don't stop there. PAC has many dedicated programs. We are currently partnered with City National's Reading is the Way Up, a reading program for pediatric patients that helps children learn to read and allows them to gain motivational and social skills through interaction with playful pups. 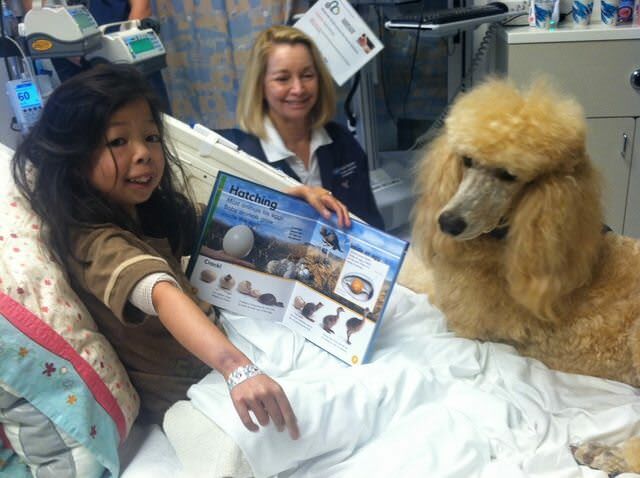 Our PetPal Program also reunites hospitalized patients at the Ronald Reagan with their own pets in an outdoor setting just outside the Mattel Children's Hospital UCLA. 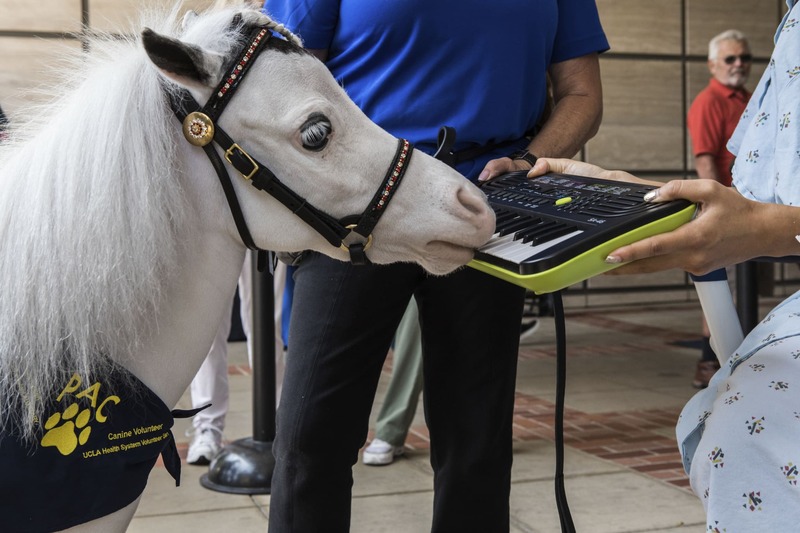 We are proud to be a part of the Stressbusters Program at Powell Library, which strives to provide stress-relieving services for UCLA students during the crazy bustle of finals week. Our PAC teams have additionally dedicated themselves to Operation Mend, which supports and restores the lives of soldiers who have fought for this country. Please Give and Support Our Pups! Donate to our campaign and help our PAC Teams continue to make a PAWSitive impact on this world. 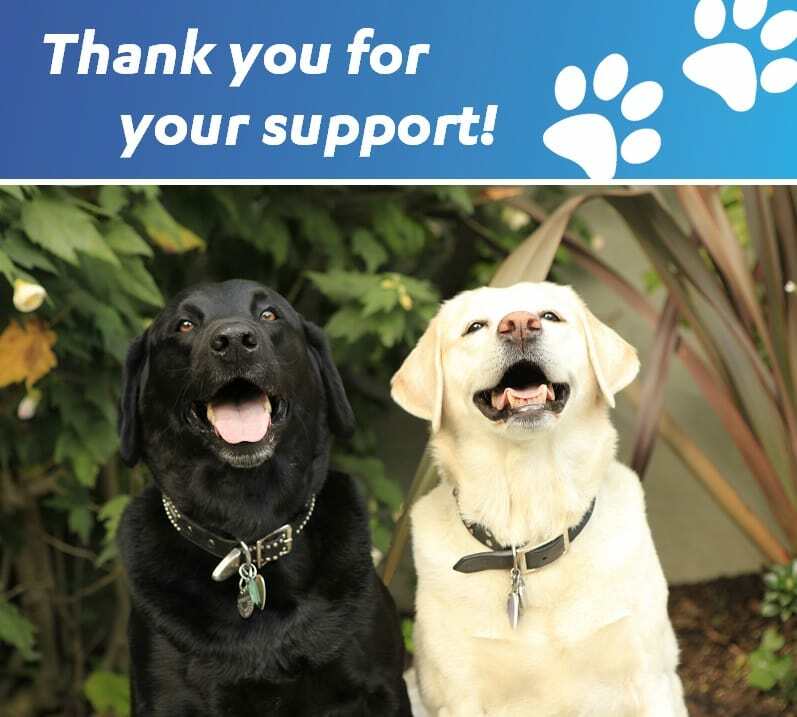 Your gift, large or small, will help us with the training and administrative expenses of People–Animal Connection, maximizing the impact of our volunteers both human and canine. 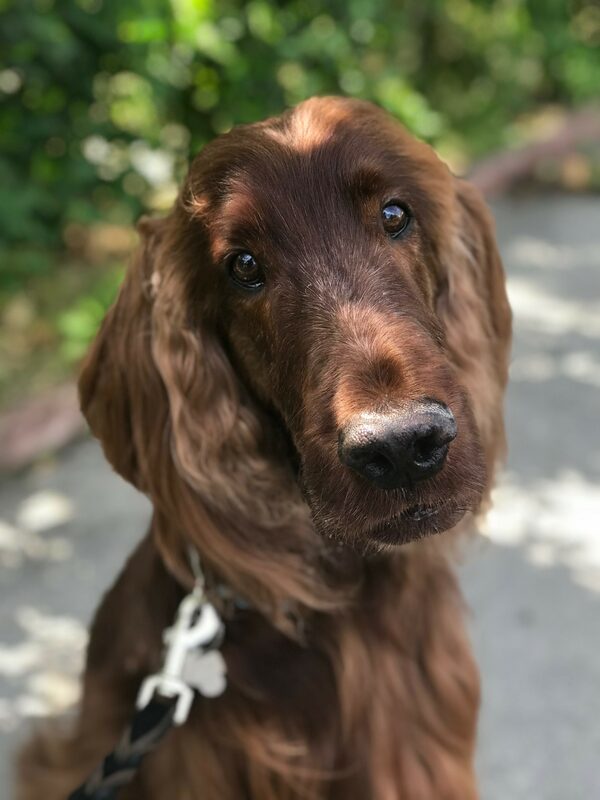 Visit our UCLA People-Animal Connection Website to learn more! SHARE this website with your friends, family and dog lovers to help spread the word. If you do not wish to receive further fundraising information from UCLA Health Sciences, please either call us at (855) 364-6945 or email us at OptOutUCLAHSD@support.ucla.edu, providing your name, address, phone number and from which department you’re requesting to be removed. Size is just a number - even the smallest donations and dogs can make a difference! Just $15 can help cover parking when volunteers come in for their hospital shifts. Our dogs take their jobs seriously. $20 will print a set of PAC Trading Cards that teams give out like business cards. PAC volunteers need to represent in style. $50 will provide PAC Bandannas for dogs to wear proudly as they make their visits. PAC's goal is to reach 100 teams in the program so they can get more visits to the many people who would like them. Donate $100 to aid with the program costs of adding those teams. Costs to become a PAC Team member can be ruff. $250 will help cover a new team’s uniform, registration, special lab requirements, and evaluation fees. PAC Teams are committed to making a PAWsitive impact. $500 would help fund supplies, training and education for PAC’s numerous sub programs such as the PAC Literacy program and Tuck-in-Teams. 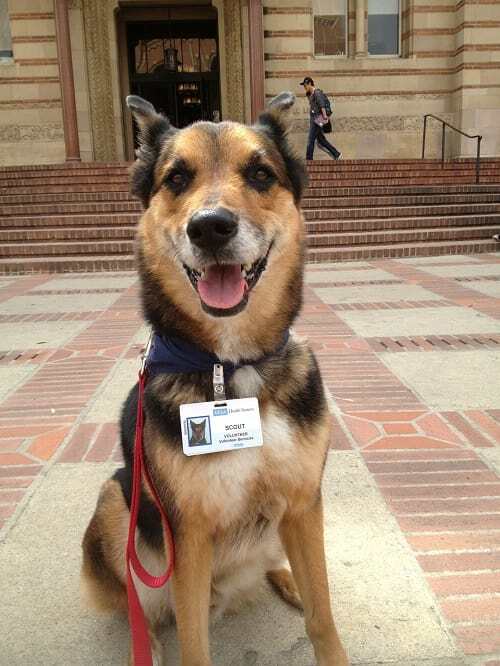 Blue Moon is the first non-canine animal that has visited the hospital and joined the PAC team. $1,000 could help with the expansion of the program to offer different types of animal therapy experiences and support the growing need of teams.